The stage is set for the launch of the Apple iPhone7 on Wednesday, 7 September. According to reports, the event could also see the unveiling of an iPhone 7 Plus. 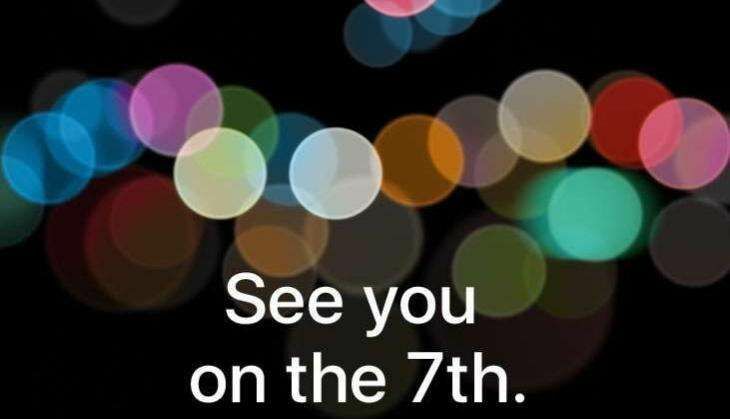 The Apple media invite reads: "See you on the 7th". The event is scheduled to take place at Bill Graham Civic Auditorium in San Francisco, which has become Apple's favourite venue for mega launch events. Those in India can watch the live streaming of the Apple event, which kicks off at 10.30pm on 7 September. Tune in to the live stream using Apple's HTTP Live Streaming (HLS) technology. The HLS requires an iPhone, iPad, or iPod touch with Safari on iOS 7.0 or later, a Mac with Safari 6.0.5 or later on OS X v10.8.5 or later. Windows users can also watch the event on the PCs running Windows 10 using the Microsoft Edge browser. Previously, Apple events could only be watched on Apple devices. However, Apple later threw open its livestreams to other gadgets - including Windows 10 PCs, which got the feature in September 2015.